For those of you looking to hire transportation for your special day, Goldline Chauffeurs has the best calibre of vehicles to match the occasion. 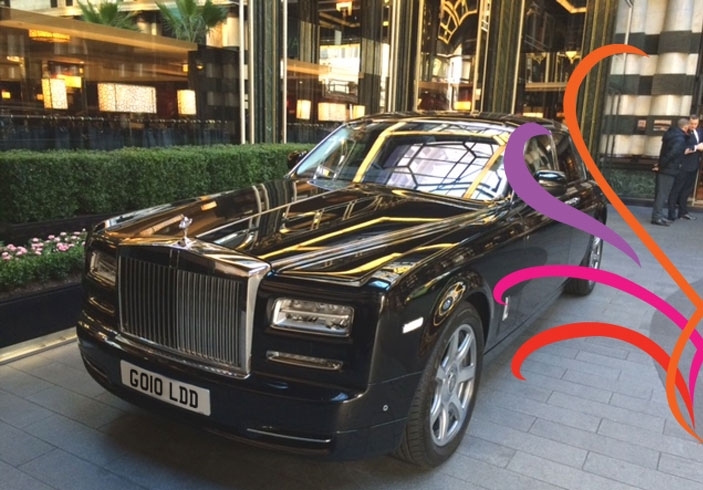 Pick of the bunch is our glorious Rolls Royce Phantom, which is sure to grace the entrance of any venue with it’s elegant presence. Our other main vehicles suitable for wedding car hire include the Bentley Mulsanne and Mercedes S Class. For those of you willing to try a different approach, perhaps our Lamborghini Huracan might be what you’re looking for. All of our wedding chauffeur/VIP vehicles are fully valeted before picking up clients and are equipped with Wi-Fi and more. We are also able to apply ribbon to cars upon request. Goldline Chauffeurs is no stranger when it comes to transporting VIP’s and celebrities during roadshows around the country. We are happy to sign non-disclosure agreements in order to maintain anonymity for our clients whom may just want to travel without fear of their whereabouts being publicised. If you would like to enquire about our wedding chauffeur car services, please complete the contact form below and one of our team will get back to you within 6 hours. Nothing quite has the presence and all round prestige as a black Rolls Royce Phantom. This is the chauffeur car that will make the biggest impression at your event. The Phantom oozes class and luxury from every facet, yet with enough style to make jaws drop upon your arrival. Nothing else makes a bigger statement. The glorious Bentley Mulsanne is a true powerhouse of a vehicle. With levels of luxury and comfort that rival the Rolls Royce Phantom, the Mulsanne emits a higher level of youthfulness while still being suitable for any A-list event. Powered by a 6.75l twin-turbo V8, the Mulsanne will effortlessly waft you from A to Z.